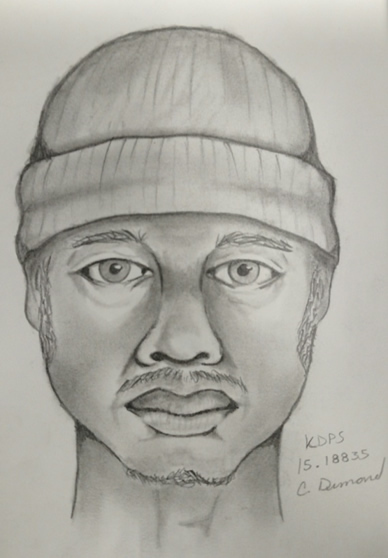 Kalamazoo, MI: On Thursday, December 24, 2015, at approximately 8:55 P.M., Kalamazoo Public Safety Officers were dispatched to the Family Dollar located at 507 N. Park regarding an armed robbery. Upon arrival officers found that a suspect followed the manager into the office and then robbed him at gunpoint. No shots were fired however the manager was struck in the head with the gun several times. The suspect fled the store with an undisclosed amount of cash and was seen getting into a maroon 4 door sedan. The manager was not seriously injured and did not require medical treatment. The suspect is a black male in his 30’s. He is approximately 6 feet tall, 230 pounds, and was wearing a black hooded sweatshirt, dark jeans and white shoes.